Porsche fans should pay extra attention to the upcoming season of the FIA World Endurance Championship because the brand's motorsport division has announced that the 911 Turbo will be its official safety car until 2020. The hottest turbocharged 911 will arguably have the most important job in each race, to safely guide the group of throttle-happy race cars around the track during a period of bad weather or to avoid an obstruction on the circuit. Stuttgart's finest will provide WEC with 16 cars in total: two 911 Turbo safety cars for use at every endurance race in the season's schedule, three 911 Turbos for use at Le Mans only, and eleven other intervention vehicles from Porsche's full model lineup. The 911 Turbos used are mostly factory-spec, equipped with Michelin Pilot Sport Cup 2 tires and the Sport Chrono Package, which can tune the car's engine, transmission, and suspension on the fly to ensure maximum throttle response and lightning-fast shift times from the 911 Turbo's seven-speed PDK transmission. 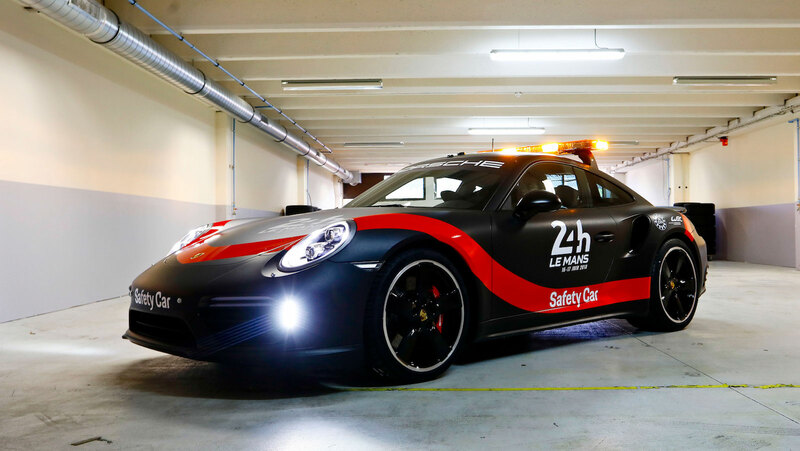 FIA modifications include a roof-mounted light bar, flashing LED signal lights, radio system with a direct line to the race director, track signal monitor, and full racing seats with six-point harnesses. 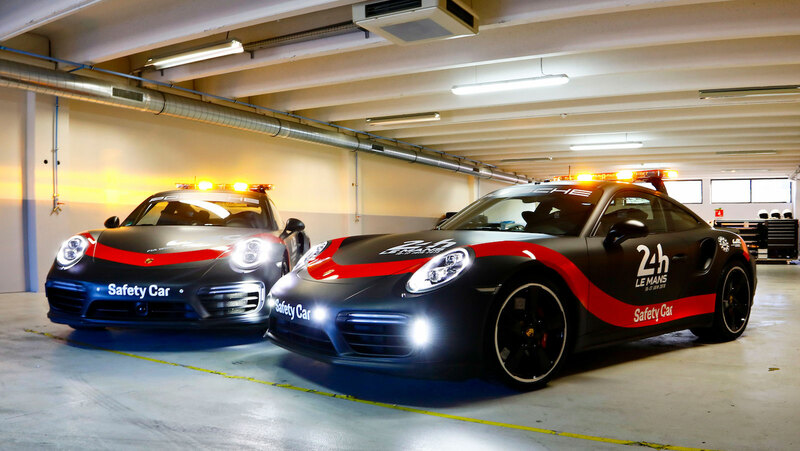 The 911 Turbo safety cars sport a unique matte black with glossy red paint job as an homage to Porsche's endurance race cars. Porsche says that choosing the 911 Turbo as the pace car was an easy choice, considering the car's impressive performance specs. With a 3.8-liter, twin-turbocharged flat-six pumping out 540 horsepower and all-wheel drive, the 911 Turbo rockets to 60 mph in 2.9 seconds on the way to its 198-mph top speed. 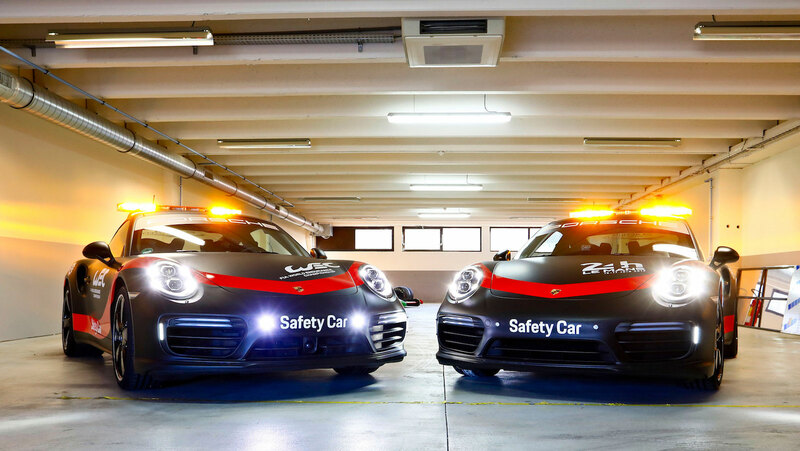 "We’re delighted to have the chance to supply the safety cars and intervention vehicles for the Sports Car World Endurance Championship until 2020," said Alexander Stehlig, program manager of GT Motorsport at Porsche. " As a sports car manufacturer, it was rather easy for us to find a suitable car." 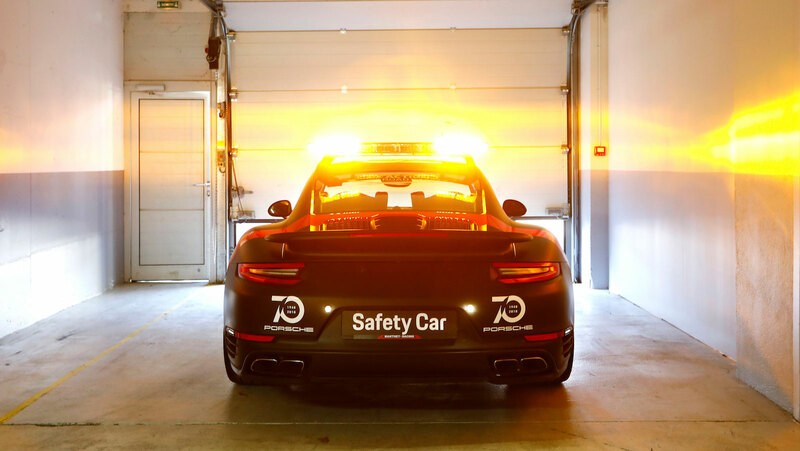 Fans can catch the Porsche 911 Turbo safety car in action during the 2018-19 season of WEC, which kicks off May 5 with the 6 Hours of Spa-Francorchamps. Amazing thing is, this 'Vette is expected to only go for $25,000–$30,000.